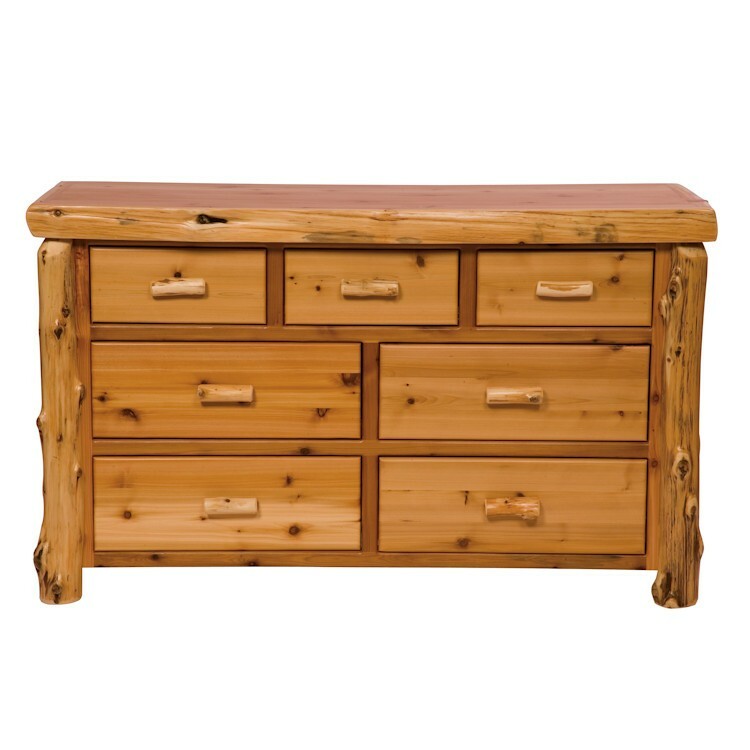 A great accent to your log style bedroom, the Cedar Log 7 Drawer Dresser features American craftsmanship and traditional log styling. 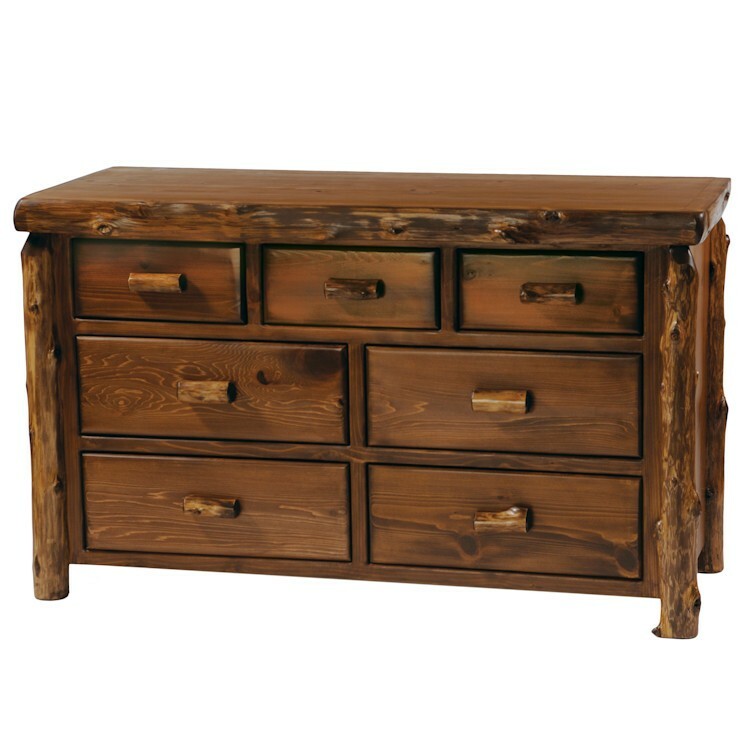 Available with a traditional or vintage finish and value or premium construction. Hand peeled Northern White Cedar logs for their natural character and beauty. Three top drawers are 7” deep with Four bottom drawers are 9" deep, all drawers are dovetailed on the corner joints and drawer bottoms are dadoed in (not stapled to the bottom). 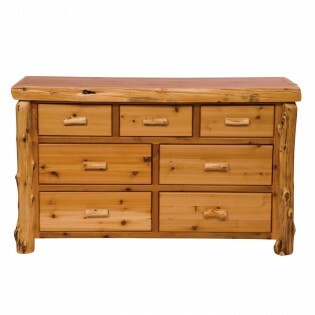 Aromatic Cedar in all drawer bottoms. Allow 4 to 6 weeks. Cannot express ship or ship to Alaska.